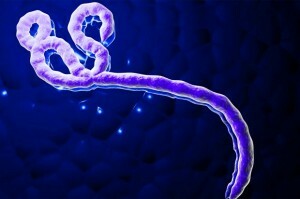 You are here: Home / *Articles of the Bound* / Ebola Pandemic Coming to America? Speculation has been rampant about the threat to America from the West African Ebola outbreak that has infected at lease 1,300 and killed 887 people to date, including one American. Initial outbreaks in Sierra Leone, Guinea and Liberia have now spread to Nigeria with a second confirmed case – a doctor who treated the now dead American. Eight other Nigerians are quarantined with three showing symptoms. A Liberian died recently in Morocco, a suspected case has been reported in the Philippines, and now a man with Ebola symptoms who recently traveled to one of the affected West African countries has been isolated at Mt. Sinai Hospital in New York City and is being tested for the illness.